Inbound Marketing and SEO: Where does the future lie? So, before I really get stuck into this blog, let me just say thanks for coming to SEO Inbound! This is the first blog I have published on the site (so if anyone does read it, go easy on me in the comments!) and I’m really excited to finally have the opportunity to provide something of value back to the SEO community. Well, I say value, but maybe that a bit of a lofty ambition for my first independently published blog post, so I should probably set that bar a bit lower…let’s just hope it’s not rubbish! Then you better start swimming, or you’ll sink just like a stone, for the times they are a-changing. Right, to the matter at hand – what is Inbound Marketing and why do I believe it’s the future of SEO? I assume that the majority of people here know what search engine optimization is, but I’ll just give a very basic description none-the-less. Essentially, SEO Service is the process of using certain on-page and off-page strategies to achieve higher rankings for your website in the organic search results. The purpose of these increased rankings is to drive a regular flow of targeted and relevant traffic into your website. This targeted traffic, with the right information architecture in place, the right product, and right sales material, has the potential to be converted into paying customers. This is the basic model that SEO is often sold on, and many businesses have had a lot of success adopting this approach. I imagine the question at this point is how is Inbound Marketing different to SEO, and is it just the same process repackaged under a different label? Well, I think there are some fundamental differences that people need to think about before embarking solely on an SEO campaign. The emphasis with SEO is, by definition, on developing the organic search results (usually on Google) as the main source of traffic into a website and often, financially benefiting from those visitors. With the amount of time and resources that are required to attain higher rankings, particularly for very competitive terms, it could be said that cultivating other traffic sources if something that is often neglected. Inbound marketing is a more holistic approach to online marketing than SEO in that developing new traffic sources, developing a community and creating a positive user experience are all considered just as important as getting those high rankings. As has been seen over the years, particularly recently with the Panda and Penguin updates, relying purely on organic search to bring traffic to your site can be a risky strategy. Practically, with the flick of a switch, that traffic coming to your site can completely vanish. By developing other traffic sources, you are not only giving yourself an insurance policy should your website fall foul of Googles Webmaster Guidelines, but you are also building the outreach and visibility of your brand, and consistently attracting more targeted visitors. These newly cultivated traffic streams are developed by adopting a wider range of strategies into the online campaign as opposed to just link building. 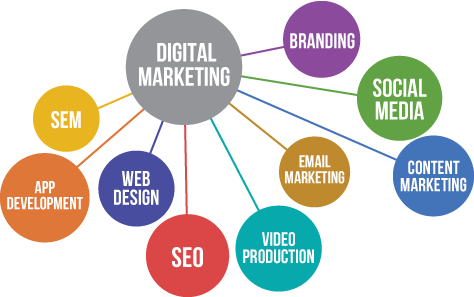 Social media marketing, content marketing, building mail lists, developing a stronger offline presence and creating communities around your niche or product are considered conducive to a successful inbound marketing campaign. I remember reading an article by Lee Oden at Top Rank where he stated that, SEO is really just marketing, so deal with it. It took Lee to point it out to me, but it almost felt like an awakening. SEO is just marketing – the most long lasting, successful SEO campaigns will undoubtedly have a solid marketing strategy at the core. I think the sooner SEOs start thinking with a more commercially driven mind set, the more successful their campaigns will be. Both in terms of financial gains and longevity. Just to make it clear at this point, I am in no way saying SEO is dead – I don’t live under a bridge, and I don’t ask travelers to pay a toll as they pass me by. I’m even tempted to stay away from the SEO has evolved mantra, because that too is starting to become a cliché. I like to think of it as something of a rebrand – the same principles at its heart (driving targeted traffic to a website), but with a wider scope and under a different label. Is Inbound marketing accessible to all businesses/niches? I’m sure there are many questions people have about then entire concept of inbound marketing, so Ill try and answer a few here. Firstly, is inbound marketing more or less accessible to businesses or independent web marketers than SEO, and is successful inbound marketing often dependent on how active the online community is of the niche in question. Well, my opinion is that if you have a business offering a service or a product, or are an affiliate marketer trying to sell a product, if you truly believe that what you’re selling is great then you have the potential to run a successful online campaign. Of course, it’s easy to say that from my point of view, but then I’m not a small business struggling to sell lug nuts over the internet! Is Inbound marketing more demanding than SEO? I like to think of SEO and Inbound Marketing as like ice and water – different forms of the same composition. By this I mean that the same basic skills underpin both SEO and IM campaigns, but the end result can be something completely different. If you consider yourself to be an SEO it is your job to help a site rank higher. You’ll achieve this by implementing solid on-page SEO (keywords, URL structure, quality interlinking, silo structured categories, good content, social implementation, pretty pictures etc.) and your off-page might largely consist of various link building techniques. How you approach link building will obviously depend on, dare I say it, the color of your hat – but to be honest I don’t really care. If you build links you aren’t white hat anyway. When you have achieved those rankings, you want to convert as many visitors as possible, so you just kick back and watch your Ad Sense account hit $30 a month. If you do inbound marketing, it is also your job to make a site rank higher. Like SEO, you achieve this through solid on-page work, and off-page. Link building will inevitably be part of this off-page work, but it is by no means the be all and end all. As mentioned above, off page work for an Inbound Marketer might involve more intense content marketing, a broader and proactive social media presence in order to cultivate these sought after multiple traffic streams. When the users are on the site, instead of the objective being to have them convert as quickly as possible (whatever a conversion might be on your site), the real challenge to give them an experience. Something to remember you by. In the case of Zappos they offered super customer service, in the case of Old Spice its brilliant content and powerful, imaginative advertising (the man your man could smell like), at the Red Bull site you’re getting a memorable, viral news portal, and a similar thing with Coca-Cola. These sites aren’t selling products, they are selling the brand. Bring this jumbled mess of a post to a conclusion please! SEO and Inbound Marketing aren’t that different – I just feel that one is an extension of the other. The most successful online marketers, the ones who are good at SEO, will be good at Inbound Marketing because they don’t see the end goal as being number one rankings for a specific keyword. They recognize there is digital life beyond the SERPs, and while Google might still send the majority of your traffic, your business won’t become dependent on it. For an industry related example, look at iAcquire – they were outed for offering financial compensation for links by some self-righteous nitwit (I’m being very polite) who thought he was doing someone a service by pointing out they had overstepped one of Googles arbitrary guidelines. As a result of this inexcusable hate baiting, acquire found themselves removed from Googles index. 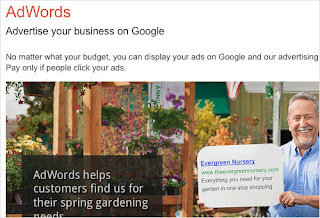 For some businesses this removal of organic search traffic would have spelled doom, but because of the reputation acquire had built, and the reputation of several key staff within the SEO community, they were able to negotiate this 3 month spell without Google traffic. In my opinion, that was a result of them developing their brand reputation successfully when some companies might have been satisfied to stagnate at the top of the rankings for certain search terms. Rightfully, they have been reincluded again. Inbound Marketing is a long-term investment that requires dedication, knowledge and a real passion for the product or service you are selling. Just to reiterate, I think SEO is still a hugely important, but its just one part of the online marketing process. I think as businesses begin to become more web-savvy and have the realization that ranking for a keyword doesn’t guarantee long term success, the SEO industry will have to reposition in order to display these additional marketing skills. I’d be interested to here other peoples take on the SEO/Inbound Marketing debate, so please, if anyone has managed to slog through this entire post, please leave a comment with your thoughts! Thanks for reading the first ever SEO Inbound blog post – click the link at the bottom of the post to get your reward!